People travel to gather with like minded people and listen to important leaders and speakers in their industry at events all over the world. When you layer graphic recording and visualization on top of the audible storytelling and discussions by speakers and panels, it ensures that the new ideas people experience are also remembered. On stage visual drawing in front of a live audience during a live event. Off stage or virtual drawing for a digital audience before, during and after a live or virtual event. Multiple artists drawing for a live or virtual event. We want to understand the goals of your event, the space you have to work with (virtual or real), and the number of speakers, panels, or break-out sessions you want us to graphic record. We can coordinate with speakers, media, and vendors to make sure we have everything we need to support the experience you want to create. With expectations set and a day or hours before the doors open, we will work on-site with your teams to set-up equipment, materials, sound, lighting and anything else that’s required for success. We are flexible, attentive to detail and responsive to unforeseen challenges when it’s show-time. Speakers are speaking and stories are being told. People are engaging with what they hear and what we draw. They are also engaging with us and the artwork. Whether that’s taking selfies with key visuals in person or sharing and commenting online. Our team engages with the audience around the artwork. The show has to end sometime, but they need to carry the messages back with them into their jobs and personal life. Content for social media, email followups, merchandise, video courses and more can be created using the visual created and shared with everyone in attendance. A strong ending to their journey. 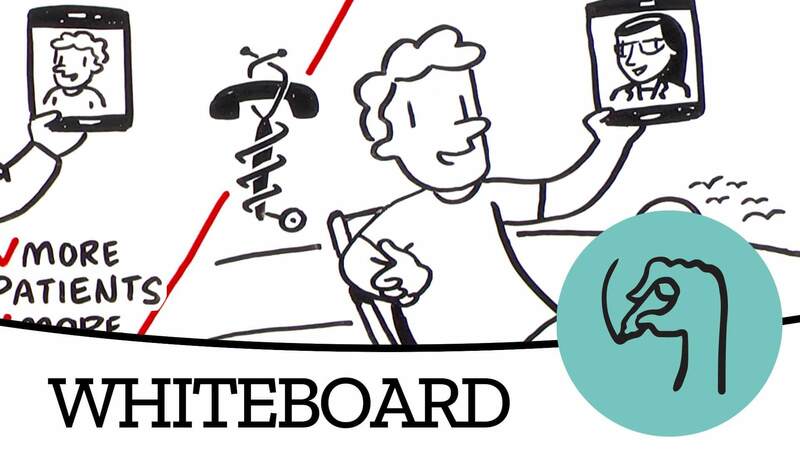 Our iconic Big Boarding puts an artist on stage with a speaker to capture the ideas they speak and our Digital Boarding can create visuals from anywhere. An effective way to solidify new ideas, complex topics and event experiences. 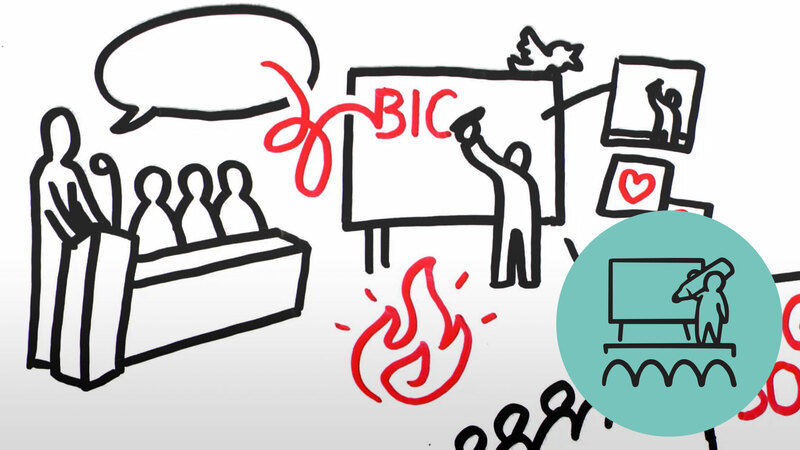 Our trained Graphic Recorders can tackle any topic, any venue and provide visual content that improves the attendees chance of taking the messages home with them. These are just a small selection of the thousands of stories we've drawn for our clients. Here is a small selection of the thousands of stories we've drawn for our clients. We amplify your teams ability to solve big problems and pinpoint the future with Idea Boarding. Real-time visualization of ideas leads to clearer insights. Ready to see your vision come to life?